Awesome Barn Find, a Soldier’s 1970 Boss 302 Original Owner!!! Take a look at this, Awesome Barn Find, a Soldier’s 1970 Boss 302 Original Owner!!! It begins like somewhat of a tale, that is not that easy to believe, since this guy lives nearby and yet this is the first time that he sees this amazing discovery in the form of a 1970 Boss 302. The story goes that one day on the way back from work, this guy decided to take a different route on the way home and ended up in a neighborhood that he has never been in, and whilst driving thru it, he spotted something that peaked his interest, a corner of a car that just had to be a Mustang. You are probably guessing the rest, next time he came around there he stopped to check things out and started talking to the owner of the car, and it turned out that his name is Reginald and he is the only owner that this amazing car ever had. So play the video and let Jerry Heasley and the Reginald tell you all about this amazing discovery. 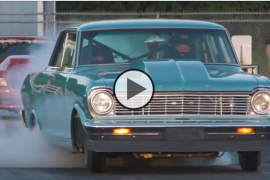 Turbo Nova II vs Turbo GTO at Thunder Valley Oklahoma Small Tire Shootout! 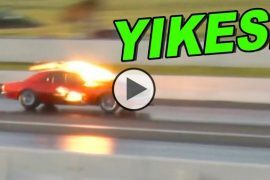 Street Outlaws Monza Makes Switch To Twin Turbos On His Split Bumper Camaro!! Junkyard Find 1972 Dodge Charger Rallye 440 with Hemi 4-speed!! 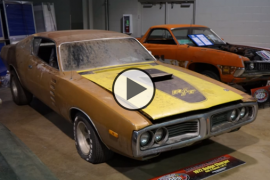 Previous articleUltimate Man Cave Garage Loaded with Awesome Muscle Cars!! Next articleVirginia Man Strikes GOLD With 1970 LS6 SS454 Chevelle That Runs after Being Parked 35 Years!!! 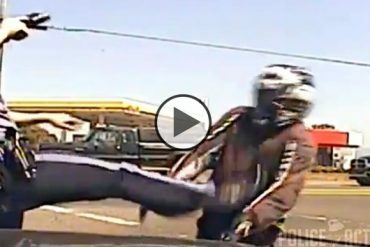 Police Sued Big Time for Dash Cam that Shows Oregon Cop Kicking Motorcyclist!